It's a sharp pivot from his typical campaign diet consisting of McDonald's, Kentucky Fried Chicken, pizza, and Diet Coke. 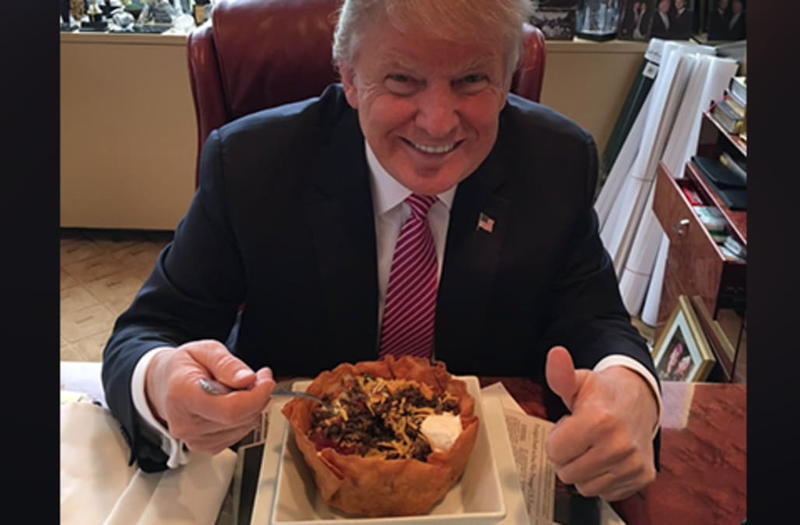 People familiar with Trump's new diet say he's thriving on the healthier meals. President Donald Trump has finally cut back on fast food and red meat, trading in his signature diet for salads and soups instead, Bloomberg News reported on Friday. Trump has a well-documented fondness for junk food, and his campaign trail diet consisted mostly of McDonald's, Kentucky Fried Chicken, pizza, and Diet Coke, according to his former aides. A typical meal for him consisted of two McDonald's Big Macs, two Filet-O-Fish sandwiches, and a small chocolate milkshake — totaling 2,430 calories. But now, he's thriving on a newer, healthier diet, three people familiar with the matter told Bloomberg. One person even said he hadn't seen Trump eat a hamburger in two weeks. But the diet switch-up appears to have taken affect after his first physical exam as president. White House physician Ronny Jackson told media in January that Trump was in "excellent health," but needed to shed a few pounds. Trump weighed 239 pounds and stood 6 feet, 3 inches tall. That left him just one pound shy of being designated "obese," according to the Centers for Disease Control and Prevention's Adult BMI Calculator. Trump apparently gives himself some cheat days, though. Bloomberg reported that he hate bacon at breakfast one day this week.